As a curious observer of human nature, I’m fascinated by people, their behaviour, and their choices. Why do people often continue to do things that don’t serve them? Having been one of those people, I get it. For many of my younger years, I was committed to being ‘right,’ often at the expense of my health. When I was addicted to diet Pepsi, (an eight-can-a-day habit), the only “expert” who suggested that maybe it was contributing to my severe digestive issues was — my mother. She would ask, “Don’t you think all that diet Pepsi you’re drinking might be hurting you?” The cavalier “wanting-to-be-right” part of me would dismiss her and say, “Well, the doctors never said anything about it.” That commitment to a bad habit probably cost me dearly. Humans don’t change until we’re ready to. When I chose to quit, I quit cold turkey and never looked backed. Communication through writing and songwriting is one of my big life themes. Health is another. From a very young age, I’ve been on a personal health journey, learning to ask a lot of questions amassing a library of experiences and information to share. We’ve all heard people say that a certain disease, “Runs in their family.” This was not the case for me. No one in my family before me had digestive issues. As it turns out, it isn’t necessarily true for others either. The latest research in the field of epigenetics shows that genetics, which was previously believed to represent 70% of our predisposition to a specific illness, is now considered the smaller piece of the health puzzle. Epigenetics, defined as “a change in our genetic activity without changing our genetic code,” shows that genetics is only 30% of the health equation, with lifestyle choices being 70%. Research is finding that it’s the sum of our lifestyle choices — the foods we put in our bodies, the chemicals we are exposed to, how active we choose to be, even our social environments — that can alter our health at the level of the gene. So, we have a lot more choice than we give ourselves credit for. Or that we empower ourselves to make. In all my years of looking for answers “out there,” I did some crazy things. When a respected classical homeopath my doctor brought in from England gave me a single homeopathic remedy, suggesting I go on an “all-white diet”, eating nothing green, I felt confident interpreting that as meaning I could eat all the popcorn and vanilla Hagen Daaz ice cream I wanted. Seriously! Definitely not a diet for someone with chronic digestive issues! In my logical rationalization, I was following his instructions. Right? Oh, the human desire to be right. Many of these ‘health’ stories are in my book Confessions of a Middle-Aged Hippie. When I was so far down that no one believed I would get back up again, I remember a conversation with a group from my therapeutic art community and how the statement, “You can be healed and still have a physical illness,” profoundly changed me. This might be a new idea to some people. I now know that rarely does a physical illness occur only on the physical plane. We are physical, emotional and spiritual beings. To be healthy, we need balance on all levels. Often an illness begins on the spiritual plane and when not addressed, it moves down into the densest plane, the physical body, to get our attention. This means we can heal the issue on a spiritual and emotional level, yet still have an illness on the physical level. Our body and soul are always speaking to us. Much of the time we humans ‘ignore’ the quiet whispers, waiting until our body is screaming to get our attention. The traditional medical model was designed to deal with infectious diseases and continues to practice this way today. It treats symptoms in an effort to cure a disease, yet this model isn’t effective in today’s world. We’ve gained control over acute, infectious illnesses, leading to longer life spans for many populations, but we are seeing growing rates of chronic illness. Most modern-day diseases are chronic degenerative diseases. We hear about them all the time. Diabetes. Heart Disease. Cancer. Alzheimer’s. Multiple Sclerosis. Inflammatory Bowel Diseases. These are just a few. By 2020, chronic degenerative diseases are expected to rise to 73% of all deaths and 60% of the global burden of disease. Something to think about when it comes to our freedom of choice and taking responsibility for our personal health. At the root of all chronic degenerative disease is inflammation. Are you living an inflammatory lifestyle or an anti-inflammatory lifestyle? It begs us to look at our choices when it comes to the food we eat, our stress levels, our relationships, the quality of sleep and the type of exercise we get. Every choice supports the other. Of all the current research, what I find fascinating is the research that Alzheimer’s Disease is Type 3 Diabetes. That certainly changes the dynamics around what we can do to be proactive with our choices. And when I read that 9 out of 10 cancers are related to lifestyle choices, it also spoke volumes to me about how much control we do have over our health, simply through our choices. Hippocrates said, “Let your food be your medicine and your medicine be your food.” To a large extent, food has always been the place to start. With industrialized agriculture and long travel times for produce, unfortunately, the nutrient density of our foods continues to decline. Some of the stats are staggering and frankly alarming. You can read more about this topic in this comprehensive Total Health piece as the research confirms the need to supplement our diets, even if we eat clean organic foods. Having always understood the importance of nutritional supplements, (people are always curious about the many bottles I have on my counter), I didn’t fully realize until I aligned with USANA Health Sciences and Dr. Christiane Northup’s Team, how dramatic the difference in quality between supplements is. As it turns out, all supplements are not created equal! We’ve all heard of nurses or doctors reporting “bedpan bullets,” referring to supplements that literally travel through the entire digestive system without breaking down, offering little to no value to the person taking them. It is virtually like flushing your money down the toilet. Here’s the USANA difference. Dr. Myron Wentz, the founder of USANA, is a scientist with a double-doctorate in microbiology and immunology. His mission from the beginning has been to create nutraceutical grade products that nourish at a cellular level. As an FDA facility qualified to manufacture drugs – a much higher classification than the FDA current Good Manufacturing Practices (cGMP), which is required for food and supplements, USANA chooses to manufacture at this higher classification. Why? Because without it, you don’t actually know 100% what’s in the supplements you’re taking. This is why the ongoing controversy about supplements in the media about their quality and efficacy. USANA is one of only four companies out of 1300, who get a 5-star rating for completeness, absorbency, purity, potency, and safety. The third-party study results are published in the NutriSearch Comparative Guide to Nutritional Supplements. In my personal experience and testimonials from others, the products really work because of this standard of excellence. Of all the things I’ve learned on my own health journey, the one thing that cannot be understated is that we are all individual. There is no one-size-fits-all formula when it comes to health. What works for me may not work for you and vice versa. Health is highly individual. My passion is to share information I’ve learned on my ‘journey back to health.’ To support people to live their lives in a way that optimizes their health and vitality. If you’re ready to take your health to the next level, I invite you to a complimentary wellness consult where together we’ll create a customized program for you! The famous quote, “You don’t know what you’ve got until it’s gone,” speaks volumes when it comes to health. My wish for you is that your choices bring you abundantly good health! On all levels of your being. You give a really great insight here and make so many valid points! Making lifestyle changes is a decision that you have to make on your own, but the results, as you have proven, are so worth it! This was such an awesome read! Thank you so much for sharing! Thanks so much for stopping by and reading this post, Morgan! I appreciate hearing that you enjoyed the read and that what I shared resonates with you. Yes, health is a choice and the lifestyle choices we make for ourselves, it how we can influence the outcome. Thanks again! I’ve never used supplements, it’s not such a big thing here in the UK although there are a number of stores now trying to push them on to us. Having toured the US quite a few times I have been horrified at the diet there and I’m convinced we have a healthier eating regime here in the UK. Of course that doesn’t mean we don’t make bad choices when it comes to health, eating and lifestyle, but I don’t think we have as many people pushing us to make those poor choices. If you have the right options and influences around you you can be better placed to make the better decisions. Thanks for your observations about the differences in health in the U.K. and North America, Mandy. I’m actually in Canada. The unfortunate thing is that the quality of food we can choose now, just doesn’t have the nutrient density that it did in earlier generations. Too many chemicals and pollutants and the soils are becoming depleted. As far as supplementing, it is important to choose quality over price. Because the U.K. is one of the 22 places that USANA is available, they comply to the regulations that each country has. As far as lifestyle choices, I absolutely agree with you. I am always shocked when I see the states of obesity and health in places I visit in the U.S. Having the right options and being educated about what choices to make for yourself, is definitely the key to being proactive and staying healthy! Appreciate your thoughts on this! I enjoyed your post Beverley! When people feel good, it is easier to manage everything that life brings. However, creating a healthy life takes more than just making a bold resolution to “Be Healthy”. To be healthy starts with the creation of good nutrition and lifestyle habits. These habits become part of your lifestyle and people who live a healthy lifestyle have decreased health risks. And creating a healthy lifestyle is so much easier than jumping on the newest deprivation diet. I suppose that your point “we are all individual and that there is no one-size-fits-all formula when it comes to health” explains why there is so much conflicting information out there. Thanks so much for reading this post, Rachel! Yes, when we feel good everything in life seems to flow and be easier. The thing I find is that most people aren’t even aware of how great they can feel, as they “settle” for feeling just okay. Good nutrition and conscious lifestyle choices are very important indeed. Without those, it is hard to optimize our health. I agree that creating a doable healthy lifestyle rhythm is much more rewarding in the long run, than jumping from diet to diet and then facing the possibility of risking their health. I think when it comes to our individuality when it comes to our health, it is just that not everything works in the same way for each person, and what I do is work with someone to customize and personalize a program that is designed for them. That way the chances of it working are much greater! There is a lot of conflicting information now too and that makes it more confusing than ever to choose wisely.Thanks for your thoughts on this big and important topic! Health is definitely a choice that we should make on a daily basis. It is a choice I made 2 years ago when I decided to give up Diet Cokes. Much like you I was addicted and would drink more than I can count. Now I’m much better with less headaches because of giving it up! Congrats on giving up Diet Coke, Carrie and it’s wonderful to hear that you have experienced an improvement in your health because of it! It’s amazing how when we give up something that we’ve held on to dearly for so long that wasn’t good for us, how we find out we can live without it and and we experience amazing benefits too! What a good read it is. I actually like this post. Thanks for sharing! Thanks so much Nicole! Happy you really enjoyed this post! What a great post, Beverley! My husband has been struggling with back pains and digestive problems for years, he has had several surgeries, but until recently nothing had helped him. After finding an amazing doctor who recommended a starch free diet, his health problems have reduced a lot. So I’m with Hippocrates and I know now better than ever that our health greatly depends on what we eat. Ave recently posted…Using your Home as an Office? You are Entitled to Tax Breaks! I always love hearing when people find a way to heal themselves, even after years of experiencing pain. Congrats to you and your husband for continuing to look for alternatives and looking for suggestions that could work! Yes, changing the way we eat is always the first place to start and yet people get quite attached to their “habits”, Ave, whether they serve them or not. Love hearing that just cutting out starch has been so helpful too! It wasn’t until my mid- twenties that I realized how important the choices you make affect your health. I’m glad that I found out “early” but sometimes it is hard to make the best choices! It is wonderful to hear that you found out “early” in life, as the earlier the better when it comes to longterm health and wellbeing. We do live in a world with 24/7 temptations, so I know it can be challenging to choose wisely. However, the benefits far outweigh the temporary pleasure of a bad choice. Appreciate you sharing! I absolutely agree that Health is a matter of choice! I have always felt that way and when you make changes with your choices you’ll see results! So true Jeanine! We have much more control than we give ourselves credit for and when we make wise choices, we see great results. This is all so very true as I have recently begun to realize. I really have to figure out what I can do at this point to alleviate asthma and learn to live and cope with copd. I realize with the copd I have only myself to blame mostly. I’ve learned that there are always ways to manage and improve our health, Michele. I hear you that you are blaming yourself, however, maybe the next step is to find the ways to be as healthy as you can be through the choices you make for yourself. I’d be happy to talk with you at any time, as perhaps as objective conversation would spark some new perspectives. Being healthy truly is a lifestyle choice! So many don’t make it enough of a priority. Agree with you Neely! To stay healthy it is important to make “wise” choices and many people don’t take it seriously until they have a health crisis. This is great post! Health is so important that many of us forget. I have recently changed the way I eat and its made such a difference in my mood something I wish instead of dieting I should have made the lifestyle change a long time ago. Thanks so much Jenn! Yes, health is probably the most important of all issues and we humans often don’t treat it as if it is. It’s always wonderful to hear when people change something for the better, and then see the results. I agree that mood is definitely affected by the foods we eat. Dieting, isn’t the answer, as you’ve found out. Changing our lifestyle is! Congrats on taking proactive steps for your health. Great post, Beverley, lots of good information. It seems to have resonated with a lot of readers. I’ve found as I get older, I leave behind the junk food – whether diet coke or a lot of packaged stuff. Maybe it’s a desire to live longer. I do believe that we can control so many illnesses – not all but many more than we realize. I’ve been part of a local library Farm-to-Table series of events and that has helped me focus even more on how and what I cook and eat. Thanks so much for your comments on this post, Diane! Yes, I think many people are becoming more aware of how key our lifestyle choices are to our health and well-being. We do have much more control than was ever believed before. I love that you are a local Farm-to-Table series and I imagine it offers a lot of information on how to be proactive with your food choices. I’ve left behind the junk food a long time ago, and when people say that they don’t think they can change…I have to say from my experience it is very possible! Glad you enjoyed this piece and the info I shared! Fantastic post. Health is really all we have so we need to do everything we can to stay healthy. We try to do organic as much as we possibly can, no matter the cost, cause in the long run it will benefit all of us. Thanks so much Melinda! Yes, health really is all we have, so every choice we make…counts. Sounds like you are making wise choices for yourself and your family, as I also believe that eating organic food, is being proactive when it comes to our long-term health and well-being. Yes, Beverley this post speaks to me. I know my health is my wealth. Food is very much part of my healing medicine. Fantastic post my friend! I can totally relate to what you have shared in so many ways 😉 Thank you for this awesome and thought-provoking post. I agree with you that we DO have choices when it comes to keeping ourselves healthy and that our environment DOES play a very important part to living a much better life. As for my diet and what I eat, I am working on it….. Thanks so much for this awesome share! Thanks so much Joan! I can tell this post really resonated with you and I’m happy to hear this. It sounds like all the recent choices you have made for yourself are benefitting you and that you are seeing the results! I think we are constantly changing and tweaking what we do, so as long as you stay aware of the areas you want to work on, I know you’ll do it! It is so wonderful to hear how many people like you, are really “getting” that we do have the choice and that we can improve our lives and our health. What a great, all-encompassing post, Beverley! Health is the most important Wealth possession and there are so many levers (thankfully) that we can CHOOSE to improve it! I like how you covered different aspects of healthy – from food choices to lifestyle choices. etc. Great reminder, thank you! Thanks so much for your insightful comment about Health being Wealth, Millen. It’s so interesting to observe how challenging it is for some people to actually “get” this. Every day we are making choices and we do have control over the choices we make. Nothing is written in stone when it comes to how our lives will turn out. This is the beauty of freedom of choice in the face of our destiny. I’m glad you enjoyed that I covered all aspects of our health too, because is truly is a matter of physical, emotional and spiritual choices. Thank you! Wonderful article Beverley! For me, it was Diet Coke, but same, same. Long before I learned about such things as Epigenetics I simply refused to believe the studies that said we our genes, we can’t change our behaviors, we are basically on a life path from birth. As human beings we all have a desire for autonomy, and I believe we have far more control over the quality and course of our lives than we realize. Well, most of us, I know it, and there’s no doubt in my mind that you also know it! Sounds like you and I have had some very similar experiences in life, Marquita. Yes, sometimes we humans learn our lessons the hard way or when we are actually ready to learn them. And yes, I also believe we have way more choice than we often give ourselves credit for and those choices either uplift and enhance our life and our health, or they lead us down a path to illness and dis-ease. Thanks so much for sharing some of your experiences and observations about this big topic. Beverley, this is one of those topics that we are both in strong agreement on. In my book, I also write about this, because it became clear to me long before Epigenetics was even a thing that the members in my family of origin were being impacted greatly by our choices. When my mother was in her late 30’s she began to express great fear of developing Dementia-Alzheimer’s. And I remember thinking to myself, in my “all-knowing” 11 year old bratty attitude, “well, if you’re so afraid then why are you smoking 3 packs of cigarettes a day, and taking 10 different medications – two for depression, one for anxiety, one to sleep, one to wake up, and so on? Because you’re sure to get Demential-Alzheimer’s by putting all that crap in your body!” My mother began showing signs of Dementia around age 65, and now she’s 78 in stage-3 Dementia-Alzheimer’s. There is something to be said about intuition (or the still small voice of wisdom) even at a very young age. After doing a genogram it was clear to me how environmental influences and personal choices impacted my family. It made a very big impression on me and it motivates me to make better choices in order to improve my chances for a better quality of life. Thanks for writing about this and all the research you put into your articles. Nicely done. Thanks for sharing so much about your own life experiences and explorations on the topic of health and choice, Melanie! It’s amazing how you were so wise and so in-tune as a young girl. The sad part is when “adults”, in this case, your mother, don’t listen. It’s very wonderful to hear how proactive you are, perhaps somewhat influenced by your mother’s lack of it, that led you on the health journey you have been on for most of your life. And you do share it with such passion and commitment to help others. Yes, our environment and the choices we make each day, either bring us closer to health, or closer to dis-ease. For all of us, we are on a unique journey and sometimes can only learn the lessons, through our own experiences. Thanks for always sharing your heart and soul and I appreciate hearing that you found this article (which was also a labour of love for me), to contain research worth sharing with others! You did it again, Beverley. Another great article on a very important health topic. I’m fortunate to have access to a lot of organics straight from the farmers. It certainly makes a difference in the quality of my health. People may complain about the higher cost of organic food, but they pay more for medical treatment due to lack of quality nutrition. Hopefully, people will see the light after reading this. Perfect point you made, Joyce. Yes, the cost of high-quality food outweighs the cost of paying for health care when you have a chronic health issue. It’s fascinating how people make that their issue. Being that you are close to organic local markets, yes, that would really make a difference to your health. Where I am, much of the organic food travels long distances to get here, which of course decreases the nutritional content of the food. I do hope more people “wake up” as with the stats on the increase in chronic degenerative diseases, the more people who get on board, the healthier a population we will be! This is a great post, Beverley. I couldn’t agree more, it is in large part personal responsibility and largely within our power to maintain better health. While my diet/lifestyle is pretty good, comparatively speaking, part of me was still mentally squirming while I read parts of your post. I know I could do better. Like you, I am fascinated by my journey – I wonder what makes me NOT do something I know I would be better off doing. I think this type of conversation around health is so important and I hope you will continue to share what you’ve learned on your journey. Part of our human journey is to continue being aware and then doing better for ourselves, Reba, so don’t be too hard on yourself for knowing that. I am fascinated by human behaviour and it sounds like you also “know” when something isn’t the best choice and yet still do it. I also think this ongoing conversation about health is really critical, especially as the increase in chronic degenerative diseases continues to skyrocket. We have so much more choice than we give ourselves credit for so why not choose wisely. I appreciate hearing that you enjoyed this post and that you’d like to hear more about my own journey. It’s really important to me to be able to share my experiences in hopes it helps someone else. I loved that quote about making food your medicine! I’m so amazed at the garbage we are pressured to eat these days, I’ve been trying to eat mostly fresh fruit and vegetables as I don’t feel like I can trust anything that’s been processed anymore. It was good to hear about part of your journey, I can relate to your story about Pepsi, I’ve had my own poor eating / drinking habits in the past.I appreciate your message about being conscious and aware about our health related choices. That is a powerful quote that the wise Hippocrates shared many years ago, Dave. Yes some truths stay the same. 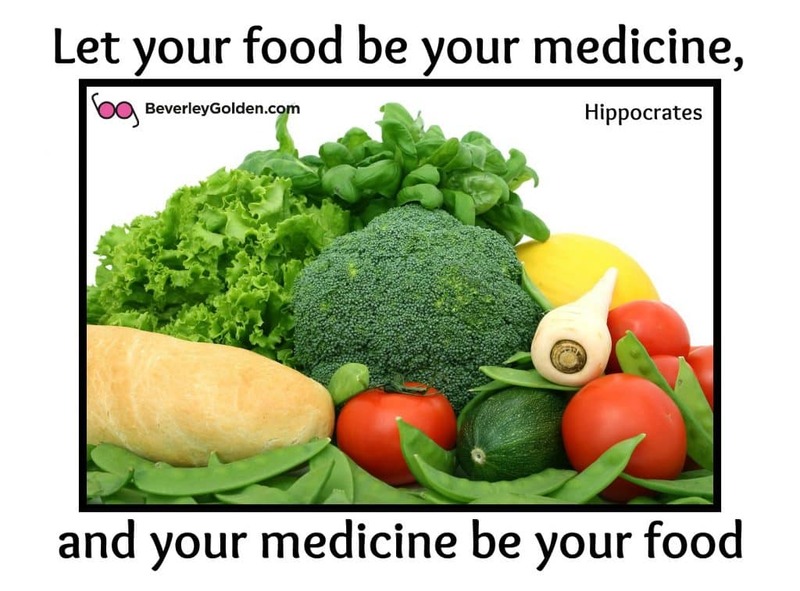 Food can be our medicine or it can be our demise. I agree that the food industry is frightening at times. So many choices and many of them unhealthy. I don’t buy processed foods either and am very careful of “fresh” food in restaurants as well. I am glad you enjoyed reading about some of my journey and yes, it sounds like we all have our own stories of poor eating and drinking habits. The sooner we get wise, the healthier we can become. It is about being conscious and the difference it makes to our health is quite astounding. What’s good for you and what’s not, as well as treatment regimens, seem to change all the time — sometimes taking a 180-degree turn. Focusing on making healthful choices in foods and how we care for our bodies in other ways reduced the risk of disease. Good stuff! Agree with you observation, Jackie. The ongoing research does mean that treatment and ideas are changing all the time. Committing to healthy choices goes a long way to staying healthy and giving ourselves an edge over the risk of disease. Thanks for your thoughts! Excellent post. I’m healing some really difficult issues through an anti-inflammatory diet. Thanks. This idea of an anti-inflammatory diet is becoming more mainstream, Andrea. Happy to hear you are healing some of your issues through a wise choice like this. Choices. All day. Every day. About how I eat, about what I eat. About my time alone and my time with others. About rest. About moving my body. About commitment to wellness even if symptoms are dancing about in my body. Thanks for the powerful reminders. You said it so perfectly, Sue. Yes, choices. All day and every day. We are making choices that either support our wellbeing or not. I like that you are also conscious of committing to wellness even when you are faced with symptoms dancing in your body. Appreciate your thoughts on this! Always good to remember the agency we have over every aspect of our lives – our choices! Thanks for the reminder! It is always good to be conscious of all the choices we have, Alexis. And yes, a reminder is also helpful! Regarding what we eat: I have a notation of foods that I will eat less of (recently created). It was an easier way for us to become more mindful of what we eat because we still think there are things that we think we cannot give up. The agreement was that we are going a week without them. It has not been as difficult as we thought. We do one at a time, and if the first week isn’t bad, we try two or three weeks, or a month. After a month or so, we are thinking that we will not miss it at all. Then we will try another. I suspect that we will be amazed at how our taste buds can change for the better pretty quickly. Thanks for sharing about your food journal experiment, Rachel. Yes, it is amazing how our palate changes, even though we think we will not be able to survive without a certain food. I used to have so many foods that were part of my diet and now, I wouldn’t even consider eating them. You are making very wise steps when it comes to your long term health and wellbeing! Keep it up and in no time, you’ll see just how much you’ve been able to change to wiser choices. Beverley, so many great points. I do think about genetics versus lifestyle and which plays a bigger part. Inflammation is such a huge contributor to chronic illnesses. Something I’ve researched a lot about myself. What we eat and how we process stress directly flow into our feeling physically and emotionally well. Great reminders to think about what we’re doing every day. Thanks so much for sharing your thoughts, Meghan. Yes, stress is such a big contributor to our overall wellbeing, it isn’t only about our food choices. Each piece makes up the whole when it comes to health and wellness. It sounds like you are very conscious of your choices and that are curious as well. Yes, to reminders we would be wise to consider every day with all our choices too. Beverley – A couple of obscure thoughts: You are absolutely correct about health being dictated by choices and not just genetics. My father-in-law drank heavy, smoked, and was very type A. He died 20 years earlier than his identical twin. The other thought I have is a speech that has stuck with me for many years. I was at an Overeaters Anonymous meeting (yes, they’ve been around for almost as long as AA) and the speaker talked about our “higher power.” This man was an avowed atheist, but used the OA group & art as his higher power. Anyway, he said that OA members who stayed in OA – still unhealthy & overweight for years – and claimed to be “right” with their higher power, well, these people were lying to themselves. “Imagine if we were in Alcoholics Anonymous,” he said. “If a member came in drunk, week after week, month after month saying,’Yep, me & my higher power are fine,’ we wouldn’t believe them. We won’t lose weight until we’re right with our higher power.” Anyway, all this is an affirmation of your point that we are physical, emotional, and spiritual beings. I always look forward to your posts because you actually seem to get that. Thank you. I love your “obscure thoughts” as you call them Joan! And you are so very attuned and highly observant. Knowing you are someone who comes from the medical profession, I imagine you have seen a lot of things in your time. Yes, your father-in-law made choices that led to his early demise. Sometimes people don’t want to change. I also love your experience at Overeaters Anonymous and how they are connecting success or change to having some connection to your higher power. The example you shared is someone who hasn’t actually transformed at the spiritual level, so continues to experience the same symptoms even though he thought he shouldn’t be. So happy you see how I bring together the physical, emotional and spiritual into my writings. I definitely do get it and I thank you for getting it too. This reminded me of when I was in the insurance industry and helping large businesses with their wellness plan. 80+% of our health issues are lifestyle related… so it isn’t your genetics that causes you to be unhealthy… it’s YOU and your choices. A girlfriend from HS was telling me about how she isn’t well, like mom and day… and I reminded her, nicely, lose some weight and those issues will improve and that your mom and dad were obese, didn’t eat well, didn’t exercise.. so that is why there were unwell. I hope it helped her. You sound like you’ve had first-hand experiences with the people who buy into “it runs in the family” mentality. Your feedback was really sound feedback to this woman and I hope she did “listen” and start to make some choices and changes for herself. All we can do is lead the way, Kristen. The commitment is always up the person. Nothing changes until that person is ready to change. It’s human nature to hang on until they can’t anymore. Both of your comments regarding, but the doctor didn’t’ say pepsi was bad as well as you could eat anything white because the homeopath said you were to eat white foods are both indicative of most people I talk to in my business. They only do what a doctor tells them. My mission is to help people take charge of their own health and stop waiting for the white coat cure. Thanks for a great article. Will be pinning. The reason I shared both of those anecdotal stories, Karen, was to demonstrate the human desire to cling to something that validates their choices. It could be “a doctor told me to”, or it could be the rationalization that you were interpreting the advice correctly. I’m grateful for all these experiences, as it really led me down a long and winding path to healing. Most people didn’t see it as possible for me to get better. But I did. Like you, my goal is to help empower people to make their own choices, to trust themselves more than the doctors do and to take responsibility for their lives. Thanks so much for also being a health advocate and I appreciate you pinning this piece too. I really appreciate your passion and depth of this article on health. I continue to seek out information on how to nourish my body the best way and have made many changes the past year to my diet although I thought it was good – but it wasn’t good enough. I am becoming more and more aware of the cancers related to unhealthy food and lifestyle choices. One of the reason my husband and I have eliminated dairy. Thank you for being a beacon of light in your passion to spread the best choices of healthy living. So happy you enjoyed this post Teresa, and that you found some depth and new information for you. 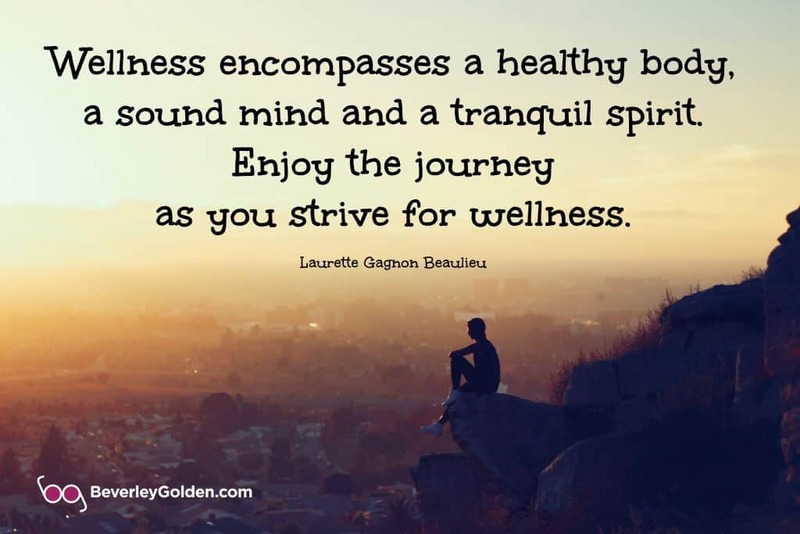 I believe that health is part of our ongoing journey, so it makes sense that we are constantly fine-tuning all our choices in our lives to do with our health and overall well-being. Sometimes we try things and they work, and other times we try things, and they don’t. That’s what life is about. For me, dairy is okay. For you and your husband, it might not be. Yes, cancer is definitely one the chronic degenerative illnesses that is diet related, so if we have the knowledge, why not make positive choices for ourselves. I appreciate your kind words about my intentions to spread positive info to empower people to make healthy choices! Yes, it is a passion, so I am happy it shines through. Beverley, This is one of the best articles that I have read in your blog. It is such a fine combination of using your own story (the good and the bad) to illustrate some reasons why we humans tend to not make the best choices. The “runs in the family” concept reminds me of when it was very popular to argue about whether heredity or environment was the greater influence on children’s behavior. I’m very interested in the Alzheimer’s disease as type III diabetes concept and would like to learn more about that. My dad died of it. I think we all know that choosing foods wisely is extremely important and you have made an eloquent case for actually doing it. Thanks so much Beth! I am so delighted to hear that you found this to be one of my best posts, as the topic is very near and dear to my heart. As you know, I love including my personal stories/experiences to highlight human behaviours others can hopefully relate to in themselves. Humans are often their own worst enemies indeed when they don’t really want to change. I think people still use the “it runs in my family” story, because they want something to blame their health issues on, vs. taking responsibility for their own health. It is a bit of the nurture vs. nature theory too. As it turns out, environment is the more important piece of this health puzzle. I will email you some links on the Alzheimer’s and Type 3 Diabetes research, as I imagine having your own experience with your dad, it would be interesting to read about. Choosing food wisely is such a big piece of the puzzle. And then making all of our lifestyle choices with the same concern for our health, needs to follow! This is so true. After reading this I am now regretting eating cookie dough for lunch! When I was in college, I started having migraines and it turned out it was my diet drinks. So I started eating better and reading ingredients on the label to help me stay healthy. Great post, Beverley. I hope I am showing my kids that it is important to know where your food comes from. What a powerful example of how something like our diet drinks could be affecting your health, Sabrina. As you probably know, most people don’t want it to be something like this, as often the “addiction” to these unhealthy foods is so strong it’s hard to give up. Congrats on giving it up and I’m delighted to hear your headaches went away too. Reading ingredients is so important these days, as so many unhealthy things, are added without people realizing they are not good for them. You are showing your kids that it is important to take responsibility for their health, and food is always the place to start. A fresh approach to this topic. So many people talk either about the food or the exercise , sometimes both. What I appreciate most is the authenticity in this article. As a writer you also research bringing the latest info to your posts. You also brought your spirituality and integration of it all. I am one who pays some attention to most of it, but without consistency & truth be told, thought I’ll seriously deal with it when I have to. I am expecting my 2nd order of USANA supplements and intend to be more consistent. AS always, a well thought out important article about our health. Alzheimer’s disease being type III diabetes sure got my attention. wow! Susan Mary Malone recently posted…Have You Checked In To See If You Are Happy? One of the things I’ve learned, Susan, is that the purer our system is, the more we feel it when we deviate even sightly from the norm for ourselves. I can only imagine what your 9 days on the road was like, as it is tough to always make wise choices in those celebratory situations. Happy to hear you are back on track and your joints will love you for it. And yes, Alzheimer’s as Type 3 Diabetes does speak volumes to the choices we make in our lives! Thanks for sharing your own experiences too! 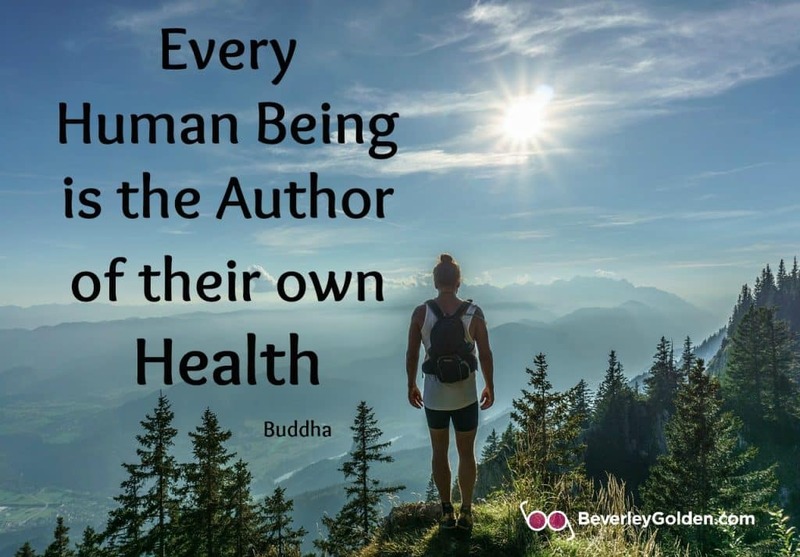 Health is wealth, Beverley and what we eat reflects on our health. I love the tons of information you’ve provided in this post. As I grow older, I understand the logic of eating seasonal fruits and vegetables for one’s health and how to build one’s immune system and prepare for changes in the body that come with age. Thanks again for the lovely post! Vatsala Shukla recently posted…Want to know how to create pots of Money? It’s wonderful to hear how you have grown wiser and more conscious in your food choices as you get older, Vatsala. Eating with the season is all but gone in most civilized cultures, because everything is available all year long, because of the transportation systems we have in place. Usually that produce is not as nutrient dense and often not even the produce we are most aligned to be able to digest. Glad you enjoyed the information, it seems to be something I love to research and then to share with others. Great post Beverley. Every choice we makes impacts our health. In our world of immediate gratification, we’ve come to expect that a magic pill will take care of all that ails us. Argh!!! It seems we’re at a tipping point and I’m hopeful that we’ll be seeing more and more people taking responsibility for their choices and their health. This part of your post sums up health care for me: “Our body and soul are always speaking to us. Much of the time we humans ‘ignore’ the quiet whispers, waiting until our body is screaming to get our attention. The traditional medical model was designed to deal with infectious diseases and continues to practice this way today. It treats symptoms in an effort to cure a disease, yet this model isn’t effective in today’s world. We’ve gained control over acute, infectious illnesses, leading to longer life spans for many populations, but we are seeing growing rates of chronic illness. Good choices will result in good health. To your health! Thanks so much Deb! As someone who is also very committed to educating and shifting “beliefs” about health and wellness, I appreciate your thumbs up for what I am sharing too. The optimist in me also believes we are at the tipping point, and that more people are embracing the fact that all our choices, are important when it comes to our health. Happy the part about the medical model being out of date caught your attention. We are seeing a dramatic increase in chronic degenerative diseases and the positive thing is, we all have many choices when it comes to being proactive about our personal health. 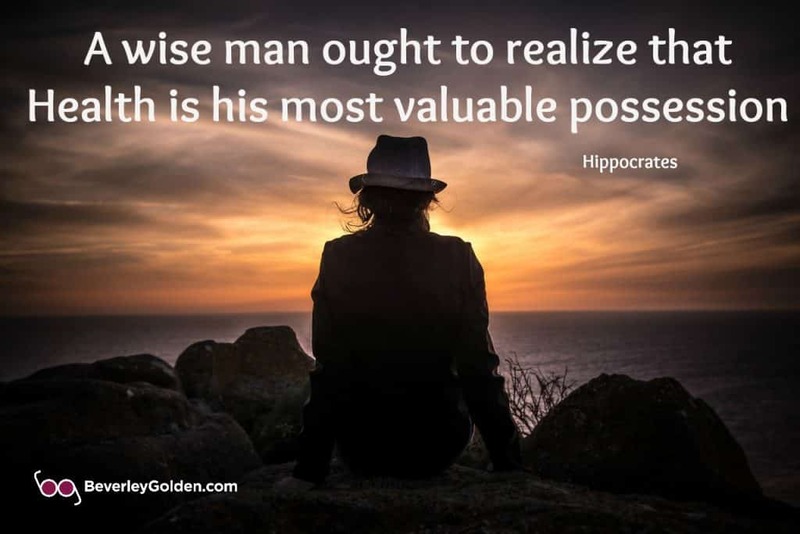 Unfortunately as you know, too many people stay in the mindset that their doctor has all the answers for them, when in fact, most of the answers are already within us asking to be chosen. Appreciate you and your contribution to this conversation. This is such an important point: At the root of all chronic degenerative disease is inflammation.. The problem with letting food be your health is that we are addicted to bad food as a society. Also, eating unhealthy quickly and easily is cheaper. People don’t want to spend the time required to eat healthy choices. This is a critical issue and thank you for this post. Renee Groskreutz recently posted…Let’s Talk About A Blog Niche, Shall We? Thanks so much for your insights on this topic, Renee. You do understand it and where the “problem” is. All chronic degenerative disease is a result of inflammation. Truth. Unfortunately, you’re right about our food choices being dictated by our cravings, which is why fast foods are so “addictive” and hard to quit. USANA has an amazing 5-day RESET program which balances blood sugar and therefore kicks the food cravings, so that you start to “crave” healthier choices. It is so much easier than most people think too! It is a critical issue and thanks for “getting it” and contributing to the conversation about it! This is a topic that I am also very passionate about! What we put in our bodies is so important! I shop locally, and organically as often as possible. Any meat I feed my family comes from local humanely raised sources. Our culture has ruined most of our food to the point that it isn’t building and healing our bodies like it should. I will look into your USANA suppliments, too! Thanks for being a conscious and passionate consumer Kimberly! I really appreciate how highly aware you are and how you stand up for what you believe all the time too. Yes, our food quality is in decline and like you, I eat organic and ethically raised animal products too. In an effort to speed everything up and move faster and faster in our culture, we have indeed created much harm for ourselves. Look forward to talking with you more about USANA too! As you can tell, I cannot say enough about the integrity or the products and the difference people who take them are seeing in their health. This is a wonderful article and I definitely know where you are coming from. None in my family has any history with allergies yet I do. Years down the line I realized that this sensitivities are a reflection of my emotional and spiritual state. We reflect what we really are. It is where the fashion and make up industry hops in. Bright colors can cover someone who suffers of depression. Eye shadow, mascara and concealer can cover the tiredness of the previous day. We can hide from everyone but not ourselves but we can pretend we do! Your therapeutic group conversation mentioned something very important about health. It is true that we can heal on an emotional and spiritual state but still have health issues? Why? Because those are our scars. Those are our reminders, where we came from and where we head to. Thanks so much for sharing you own experience with some of the things I am talking about in this post, Zaria. Some people find it a challenging concept to see that our emotional and spiritual states contribute to our physical wellbeing. You’re so right that the fashion and make-up industry play to the desire to cover up what we would be wise to show. We can’t hide from ourselves for very long, as ultimately the disconnect shows up on some level of our being. I love how you really shared something new for me, in looking at the comment about being healed on a spiritual and emotional level and still having a physical illness. Yes, I see how they are our scars, something we carry with us to remind us of how far we’ve come and where we are going. Lovely! So much good information in this article Beverley. I’ve always believed lifestyle choices make the big difference when it comes to health but also understand that we don’t change until we’re ready to. It’s so true also that no one size fits all and different things work for different people. It sounds like the true health assessment is a great place to start to discover what will work for you…when you’re ready to. It’s such an interesting study of human behaviour, isn’t it, Tami? Yes, we can be aware of something and yet, we must be ready and willing to make the choice to change. The medical profession often offers a one-size-fits-all formula for health and not it doesn’t work! The USANA True Health Assessment is an insight current health and of course, with awareness, we can choose to make change. Always appreciate your thoughtful comments! Wonderful article, Beverley! The old saying is perfect, “You don’t know what you’ve got until it’s gone.” We are the authors of our own health. I am a firm believer in this. Thank you for sharing such an informative post! Thanks so much for reading and commenting, Robin! That old saying certainly does apply to health and yet there are so many choices we can make to ensure we do optimize it. Glad you enjoyed it and I am happy you found it informative too! Great article Beverley, very informative. As a health professional I have long believed that food is connected to our health as well as stress. I can’t seem to be convinced that supplements are the way to go. We rely too much on them instead of paying attention to what we put into our bodies. Thanks for taking the time to read this post Tina! It is a topic that is very dear to my heart, as you can tell. Health really is the result of all the lifestyle choices we make. It always starts with food and the growing levels of stress in our world, is taking its toll in different ways for each of us. As far as nutritional supplements, our food supply is offering less nutrient dense foods each year. The supplement industry is very unregulated so in some cases, people are taking unnecessary supplements that might not even have any benefit. USANA is unique because of the science behind each of the formulas and with their 100% money-back, you know they stand behind their products and their effectiveness. People really do experience the difference!